Central Coast Limousines offers clients, small groups and large families the option of a chauffeur driven Mini Bus. 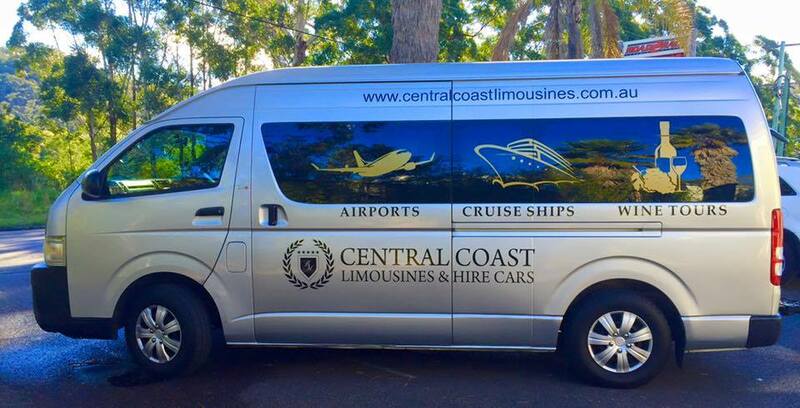 Whether you’re heading to an airport, cruise ship terminal, function, winery, restaurant or simply want to organise your own private tour, Central Coast Limousines have just the vehicle for your next event. To book or obtain a quote for a Chauffeur driven Mini Bus select “Book Now’ or call Central Coast Limousines on 4324 5115.